Looking for the best restaurants in Tucson? No need to visit half a dozen websites to do your research! Check out this list of 5-star restaurants in Tucson. The Grill at Hacienda Del Sol has won many prestigious awards, including the AAA Four Diamond Restaurant Award. The Grill has also twice earned the “Award of Ultimate Distinction” from Wine Enthusiast and is the only restaurant in Arizona to receive this recognition. Fleming’s has an exceptional selection of steaks and a list of 100 wines by the glass, making it the perfect choice for wine and steak enthusiasts. When in doubt, choose one of the chef-recommended dishes, such as the new Dry-Aged Prime New York Strip. Enjoy mouthwatering dishes created by Executive Chef Pascual Rodriguez, such as lamb tenderloin, bacon-wrapped scallop and salmon, and filet mignon. Indoor and outdoor seating available. 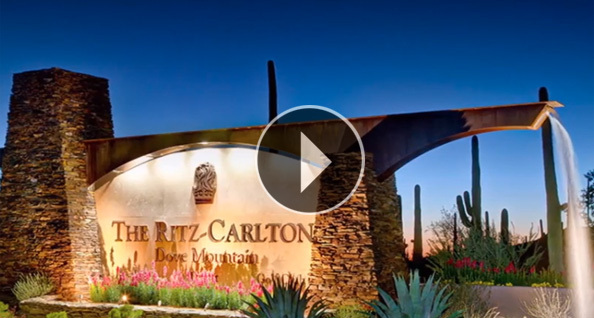 Located at the beautiful Ritz-Carlton, Dove Mountain resort, this restaurant features true American cuisine with coast-to-coast American favorites presented in a brilliantly-flavorful Sonoran desert context. Chef de Cuisine Brandon Cathey showcases his twist on traditional American cooking with Spanish and Mexican influences, while focusing on locally sourced ingredients. If you love wine this place is for you. Choose one of more than one thousand wines available on the hand-selected beverage menu. Plus, enjoy the finest cuts of meats and fresh seafood as well as delectable desserts to satisfy your sweet tooth. Enjoy first-class food, signature cocktails and live music in a one-of-a-kind Tucson steakhouse atmosphere. Amber Restaurant & Gallery offers food and artistic adventure that both nourish and delight. Here guests will find the noble beauty of art and classical music along with a friendly atmosphere suitable for fine occasions. This restaurant features exceptionally flavorful and tender bone-in rib eye, Lobster Macaroni & Cheese, and Coconut Panko Colossal Shrimp, to name a few. It was also the winner of OpenTable’s 2014 Diner’s Choice award. A seasonal, sophisticated menu celebrating Modern American cooking. GOLD serves refined, yet approachable, regionally inspired creations that make the best of fresh, flavorful and often locally sourced ingredients. Locally owned McMahon’s Prime Steakhouse features USDA prime aged beef as well as the freshest fish available. The ambiance is understated elegance, showcasing original Western artwork from area artists. McMahon’s proudly offers over 2,000 different wines, over 450 of which are half bottle selections, and boasts an inventory of 13,000 bottles. Address: 2727 W. Club Dr. This restaurant was born out of Texas and features top-notch steak, seafood and wine. Great for special occasions and known for outstanding service, you can’t go wrong with Bob’s Steak and Chop House. This place has daily happy hour specials and a wine, cigar and gourmet shop. As for food, they feature a three-course steak and seafood dinner for $49 per person. They also have an extensive menu of gourmet dishes to suit whatever your mood. These 5-star restaurants in Tucson provide spectacular experiences for a night out on the town!